You have options when it comes to more discreet ways to straighten your teeth. 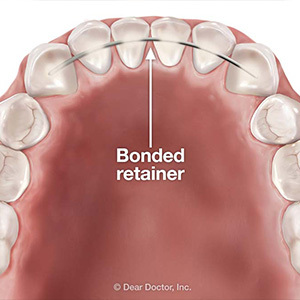 You want to fix crowded teeth but you don’t want to wear metal braces to do it. After all, you hate the idea of just now getting braces as an adult. It seems almost backwards. If you love the idea of fixing dental crowding, crookedness and other malocclusions then our Houston, TX dentists, Dr. Tiberiu Oancea and Dr. Jeromy Thornton, have a simple and nearly invisible way to do it. By now you’ve probably heard about Invisalign, the treatment that caters to older teens and adults who want to get a straighter smile without sporting a mouth full of metal brackets and wire. Instead, you’ll receive a set of clear, flexible aligners that are designed to fit right over your teeth to apply the proper amount of pressure and force to shift certain teeth around to get the ideal smile. If you are dedicated to fixing your smile, Invisalign might be right for you. Since it comes with a lot of great advantages that other orthodontic systems don’t Invisalign is often a rather attractive option. However, it doesn’t mean that it’s right for everyone. Since aligners are removable you’ll have to be disciplined enough to wear them for about 22 hours out of the day. If you will be too tempted to leave those aligners off for longer periods of time then Invisalign may not be the ideal option. If you love the idea of being able to have an orthodontic system that fits into your life without altering your day-to-day activities then it’s time to talk to our Houston general dentists about getting Invisalign. 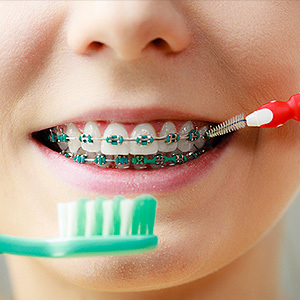 Unlike traditional braces, Invisalign won’t affect your oral care routine or your diet. You can go about caring for your smile as you always have and eating the same delicious foods that you did prior to your treatment since all you have to do is remove your aligners. Plus, no one likes having to go back and forth to the dentist all the time and Invisalign makes it easier with fewer visits. While you will still need to come in about once a month or so to make sure your treatment is going well, you won’t feel like you are always in the dentist’s chair the whole time you are wearing Invisalign. Clear braces are an amazing option for getting the straighter smile you want without the whole world knowing. If you want to find out if you are an ideal candidate for Invisalign, it’s time you called Today's Dental in Houston, TX.